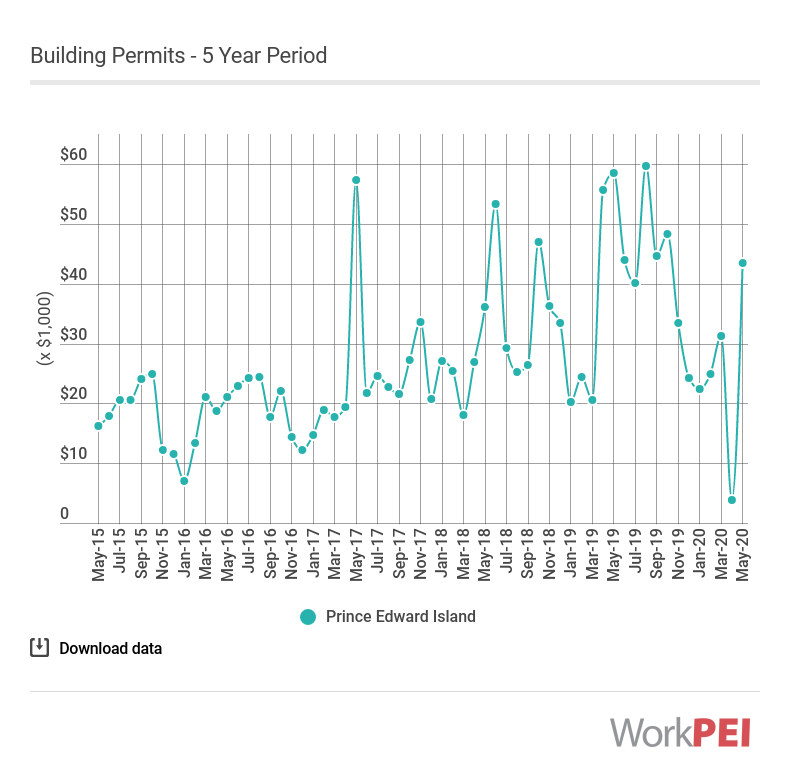 In February 2019, there was $24.6 million issued in building permits in Prince Edward Island, down 4.4% from February 2018. 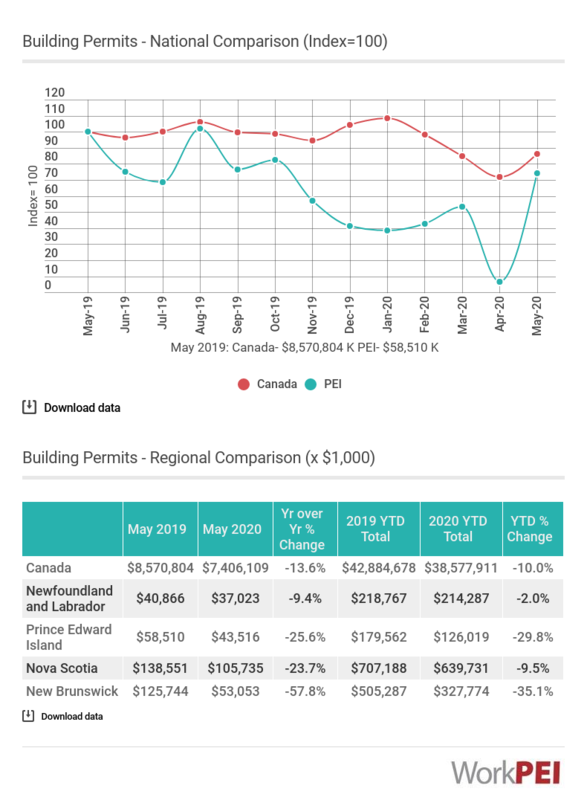 Prince Edward Island’s year to date value of building permits (January to February) in 2019 are down 15.3% compared to a year ago. 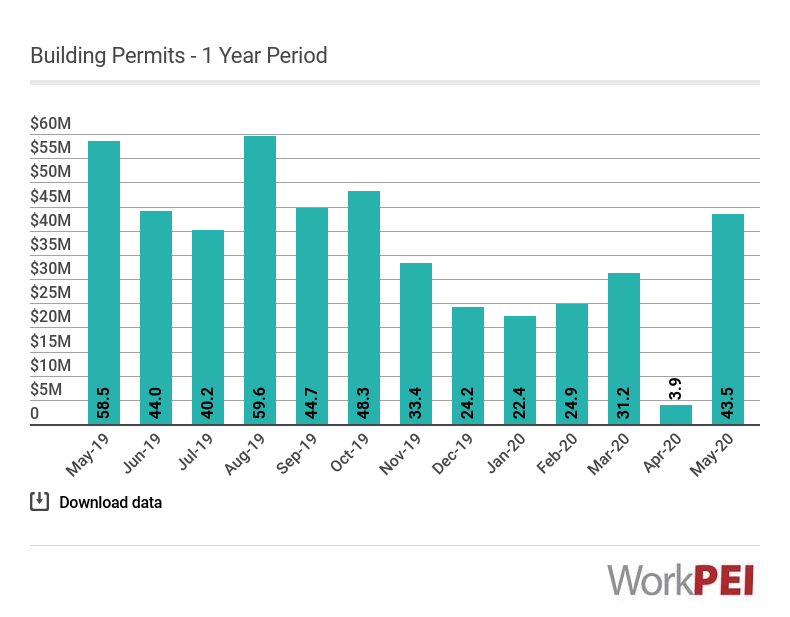 Adapted from Statistics Canada, Table 34-10-0066-01 (Building permits, by type of structure and area). This does not constitute an endorsement by Statistics Canada of this product. The value of construction intentions for buildings in the non-residential and residential sectors. The data are obtained from a monthly survey of Canadian municipalities.